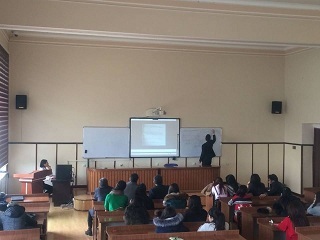 There was held a seminar namely "Physics today" organized by Baku State University Physics Faculty Student Scientific Society on December 14, 2016. 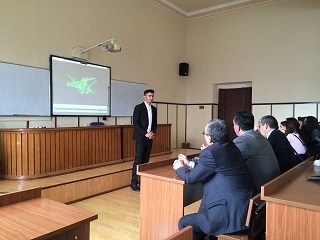 Topics like "Speed", "Optic quantum generator", "Lasers" were discussed by students. 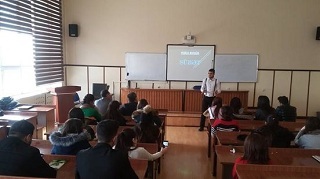 There participated vice dean of Physics Faculty Muhammad Maharramov, the head of Student Scientific Society Arif Orudjov, the head of project Sara Rahimzada, on training Ali Mammadli, Orkhan Gulahmadov and teacher and students staff of faculty are participated. 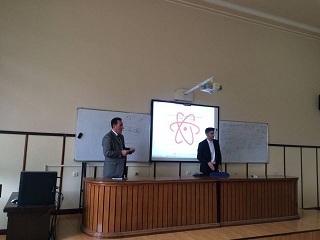 The head of Physics faculty Students' Scientific Society, Arif Orudjov opened the ceremony with his welcoming speach and wished luck to the participants of the seminar. 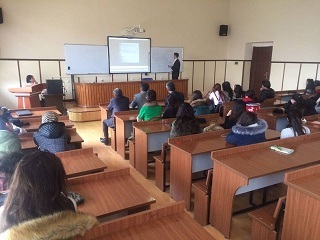 The Seminars parked of interest of participants.